SAN PEDRO — Point Fermin Lighthouse, the first navigational light into San Pedro Bay, was first built in 1874. 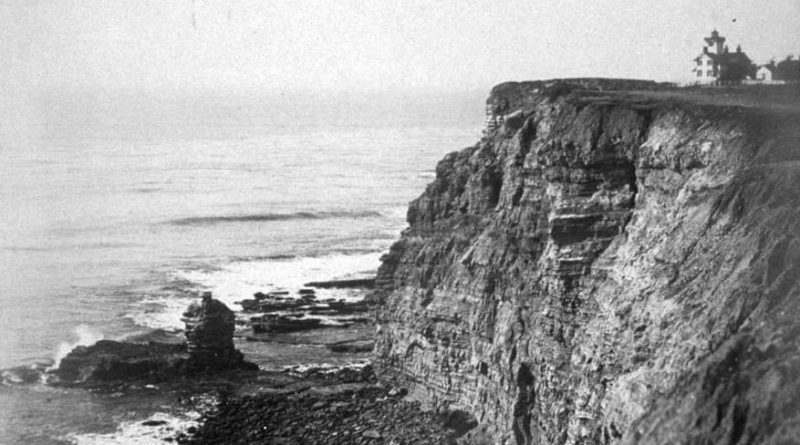 This photo of the lighthouse was likely taken sometime in the mid or late 1870s. According to Water and Power Associates official website, where this photo was sourced, Point Fermin marks the southern-most point of the City of Los Angeles and was named after Father Fermín de Francisco Lasuén by the British explorer George Vancouver. In 1793, Vancouver had met the clergyman in Carmel and wanted to thank him for the hospitable stay at the mission in the same location. Today, Point Fermin Lighthouse still stands and is one of the many local attractions in the Greater Los Angeles Area. Visit the website at pointferminlighthouse.org to learn more.